Bed bugs are parasitic creepy crawlies that feed on human blood and can leave unwary slumberers with rashes and blisters after a good night’s gnawing. We thought we’d just about gotten rid of them in the mid-20th century thanks to more efficient pesticides and cleanliness habits, but they’re slowly and surely swarming back across the globe, although nobody’s quite sure why. One of the major problems in dealing with bed bugs is how difficult they are to stamp out. They’re resilient, often requiring the assistance of a professional, and are resistant to most common methods of extermination. Luckily, with a few pointers and some elbow grease, you should be able to prevent this ever being the case, and quell any infestation before it gets out of hand. Bed bugs are notoriously hard to spot. They’re too small to see on a casual perusal, so there are a few telltale signs you should look out for. Anyone who travels a lot, staying in hotels and hostels. Bed bugs are hard to spot but not impossible! Bed bugs are highly communicable as an infestation, so if you see anyone else you think might be having a bed bug problem, it’s time to double check your own place. Take your mattress off the bed and the sheets from the mattress. Make a list of any warm, cloth-filled areas of the house (e.g. underwear drawers), and check through them for any bugs, larvae, bodies, excrement, or nymphs. Importantly, don’t bunch any of the items you take out of the drawers into one place, otherwise anywhere that didn’t have a bed bug infestation now will! 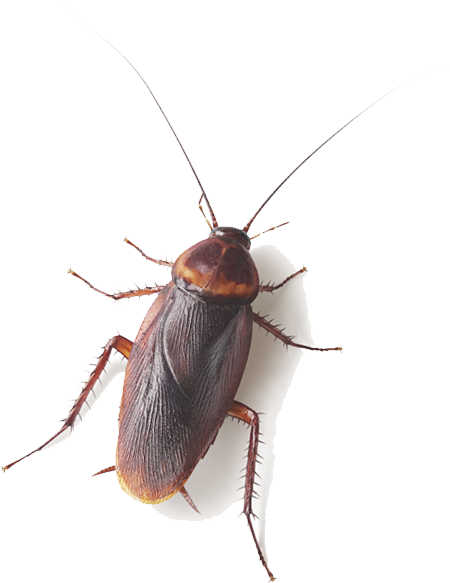 If there are a lot of bed bugs, either visible in several places or at the rate that you can smell them (it’s a distinct musty odour), or if you’re experiencing major symptoms that are causing you unrest, it may be time to call in some pest control. Only you can decide when it gets to a stage that’s out of your hands, but just keep in mind that an exterminator is an option. Packing up to move into another room to sleep is just going to move the problem into a new room. The first step of action when dealing with an infestation in progress is the main affected area – the bed! Take the mattress off if you haven’t already, and try get as good a vantage as you can on the entire frame. Put all your bedding and linen into a hot wash (even the stuff that wasn’t on the bed). High heat and cold temperatures both kill bugs, which thrive in warm and moderate heat. You might want to take this opportunity to also wash your laundry bag, since it’ll assuredly have bed bugs of its own now (and you’ll be putting a lot of stuff in it soon). While you’re doing that, take a cloth and some non-toxic bed bug spray and wipe down where you’ll be storing the sheets. There’s no point in putting them right back in an infested area after washing! Once you’ve washed all your stuff, machine dry it on hot and store it in your safe container. This can be done in tandem with Step 4, or even before if you’d like. Clean your mattress by first vacuuming it, making sure to spend close attention on any affected spots, and then replace your cleaner bag immediately. While the mattress is off the bed, wash it down carefully and methodically with your spray and a cloth, vacuuming inside any parts that you can’t quite reach with a long nozzle, and finishing off with a final spot check to catch any stragglers. Once you’re absolutely certain that you’ve cleaned the bed correctly, it’s time to move onto the room itself. When you’re clean, consider looking into getting a bed bug mattress protector, so that any that survive physically won’t be able to get to you (and will hopefully starve before emigrating elsewhere in the house). Take all your washable clothing and through the same process as your linens. Find anything non-washable? Wipe it down with some spray and hope for the best, and consider isolating it from the rest of your stuff. If you have carpets, steam cleaning is the most efficient way to do the job. Vacuuming is good at killing bugs, but won’t get at the little egg clusters and infants clinging on for dear life. While you’re at it, steam clean any other areas of the house that might need it too. From here, it’s a simple matter of going through the house and doing a similar procedure to each of the affected (or possibly affected areas) in turn. Make sure to sanitise yourself with a hot shower afterwards though; you might have a couple of stragglers! Keep checking, daily if you have to, and repeating as many steps as needed, until the job is done. Vacuuming a mattress probably won’t get all the eggs the first time, so it’s a top contender for repeat checks. There’s always the chance you might have missed a spot, too, or that they’ve crawled back in through another way. Keep checking as often as needs doing and you’ll be free of the nasty bugs in no time.